Nothing gets past Martha, a (self-proclaimed) bus-obsessed, no-nonsense expert whose ability to drill into the fine print of planning and delivery has won her many accolades on the most complex of event operations. Perhaps her childhood need for speed — racing the go-carts she built with her brothers and father — foreshadowed her career in Event Transport. Martha enjoys running, skiing, and spending time with her young son. 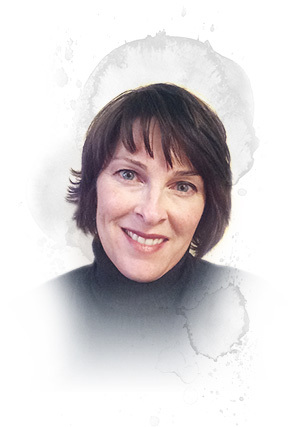 Martha has more than fifteen years of experience leading large-scale, multi-venue events including multiple Olympic Games, numerous NFL Super Bowls, the Pan-Am Games and the Goodwill Games. Most recently, Martha was the Director of Transportation Operations for the Vancouver 2010 Olympic and Paralympic Winter Games; directly responsible for Venue Transportation, Fleet Operations and Parking & Permitting. While specializing in transportation, Martha has worked on many facets of events including Security, Venue Management, Accreditation and Accommodations. During her extensive event management career, Martha has had the opportunity to work with a diverse set of public and private client groups in support of these projects. Her ability to rapidly analyze the operational viability of planning and propose practical solutions is unparalleled in the event industry. Martha is known for her expertise, candor and for her skill in bringing teams together toward a common goal. Martha is currently assisting with the delivery of spectator bus transport planning for the London 2012 Olympic and Paralympic Summer Games for the ODA, specializing in Staff Resourcing and C3 Structure Development and Implementation. Where in the world is Martha McGowan-Crea?